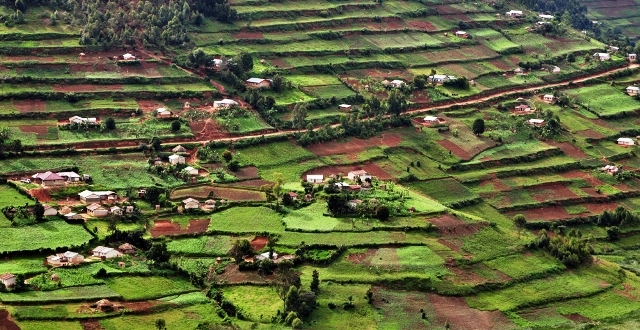 Uganda is becoming a popular destination for holiday, business, and volunteer travel. The physical landscapes, national game parks, emerging middle class, source of the River Nile, vast oil deposits, and welcoming culture are attracting not only visitors from Western Europe and North America, but also from other markets. Diaspora Ugandans, Kenyans, South Africans, and Asians are coming and going with increasing frequency. There are a number of ways to easily fly into Uganda. This page is an overview of getting here. It includes info about the various airlines that fly into Uganda and their services, transfer cities where you may layover on your way, and what to do once you arrive. RELATED: Travel Insurance for Volunteers and Travelers in Africa. Security is tight these days. No photos are allowed. This one is sorely outdated. Most airlines flying into Uganda leave their departure cities early morning. Depending on where in the world you’re originating from, you may have an over night layover on your way. If it is more than 8 hours, check the airline information kiosks outside your arrival gate and ask for a free hotel room. Many airlines will grant it, but if you don’t ask, you don’t get. If they don’t offer a free hotel room, you can choose to snooze in airport sleeping rooms. These are usually quiet, but also well lit, super cooled, and not particularly comfortable. Make sure you bring the blanket from your last flight. If airport napping isn’t your thing, book a hotel in town. A note about booking.com. They show a variety of cost options for hotels that may not have their own website. They have great reach and you can easily book with a credit card. However, make sure you call/email the hotel direct if you want an airport pickup. Getting a private car from the airport will be your fastest option. If you book a hotel using the search box above, The Real Uganda will receive a small commission at no extra cost to you. If you do decide to spend a night, or even a couple days, remember to check out tourist visa requirements for your transfer country. Here’s how to apply online for your Ugandan tourist visa. Ethiopian Airlines flies into Entebbe 3 times a day, everyday. 01:40, 12:15 and 17:50. This carrier often has the best price, but the least spectacular service. Transferring through Addis Ababa, Ethiopia, your layover will be hot and unexciting. But if cost is your number one factor when booking flights to Uganda, Ethiopian will likely be your best bet. I like Ethiopian when flying with children. Flying any African carrier rocks as Africans generally love kids and allow them freedoms Europeans don’t. As a parent, you’ll be in good company and never have to apologize for your kids being kids. Ethiopian Airlines is part of the Star Alliance network, whose members include Air Canada, Lufthansa, Air China, United Airlines, and Air New Zealand. To be a part of Star Alliance, an airline must comply with the highest standards of customer service, security, and technical infrastructure. Etihad flies direct to Entebbe from Abu Dhabi, United Arab Emirates, on Sunday, Monday, Wednesday and Friday, arriving at 13:00. Relatively new to Uganda, I’ve not used it personally, but The Real Uganda’s volunteers have. So far, we’ve had mixed experience with luggage arriving on time. Because they don’t fly in every day, you may be stuck waiting for your bag an extra day or 2. However, if you’re flying from Australia or New Zealand, Etihad has great pricing. It’s worth checking them out. Just make sure to have a few days’ essentials packed in your carry on! Etihad partners with Brussels Airlines, American Airlines, Virgin Australia, and Air New Zealand. Air Emirates flies into Uganda every day, arriving from Dubai, United Arab Emirates, at 13:50. Emirates easily has the highest quality services of any carrier entering Uganda. It has great luggage allowance, as well. While their prices are competitive, they’re not the absolute cheapest. They do, however, allow you to extend your layover i Dubai for a few days at no cost. Dubai International Airport has amazing shopping and entertainment options for long layovers. Emirates also flies to 150 destinations in 81 countries all over the world. The Real Uganda has seen a recent surge in volunteers who live and work in Dubai. Air Emirates partners with EasyJet, JetBlue, Quantas, and Virgin America, among others. Qatar flies into Uganda everyday, from Doha, Qatar, arriving at 14:10. Touted as the “world’s five-star airline”, its services are rather decent. Staff is polite, food is fine, the seating comfortable. This is my favourite airline to use when coming from Europe. They always have the best price. If they don’t, check back the next week, and take advantage of their rolling sales. They also have a huge network of flights, flying to 150 destinations around the world. Hamad International Airport has great shopping, restaurants, and play structures for kids. I’ve never, nor have any of The Real Uganda’s volunteers, ever lost luggage using this airline when flying into Uganda. Of course, that’s not to say it won’t happen to you. It’s just not probable. Qatar’s international partners include British Airways, American Airlines, Cathy Pacific, and Quantas. South African Airways flies into Entebbe from Johannesburg every day, arriving at either 14:30 or 19:00. While this used to be a popular flight for people coming from Australasia, it is now mostly used by people hailing from southern Africa. South African Airways is part of the Star Alliance Network. Brussels Airlines lands in Entebbe every day except for Friday and Sunday, arriving at 20:55. Also a popular option for visitors from northern Europe and North America, it must compete hard with Ethiopian, Emirates, and Qatar. Since the March 2016 bombings, security at Zaventem Airport is high. Things are safe, but queues are long. Brussels Airlines is also part of Star Alliance. KLM flies from Amsterdam to Entebbe everyday, arriving at 22:20. It’s a popular flight for people coming from northern Europe. It used to be very popular with visitors hailing from North America as well. However, Ethiopian, Emirates, and Qatar now fly from many major cities, without a European stopover, and offer better prices. My favourite thing about flying KLM is the array of chocolate bars, salty snacks, and sodas quietly offered at the back of the plane. Just help yourself. Should you choose to fly KLM, Amsterdam’s Schiphol Airport is amazing. They have an indoor green space and a casino. Something for everyone? 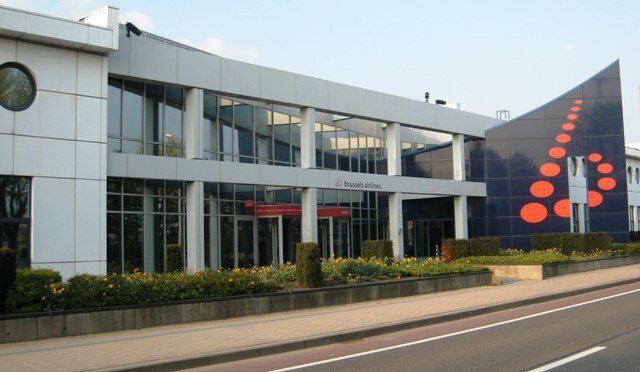 KLM’s international partners include Air Canada and Delta Airlines. Both these carriers fly into Uganda daily but arrive and depart between 02:00 and 04:00, and are often late. These are inconvenient flight times to say the least. Be aware that Egyptair had security emergencies in 2015 and 2016. Turkish Airlines in a bid to increase local tourism, does offer free multi-day layovers in Istanbul, but loses luggage often. Both airlines are part of Star Alliance. Almost all the above carriers also fly to Entebbe via Nairobi, Kenya. Since Nairobi receives more annual visitors than Entebbe (we’re working to change that!) flights to Nairobi may be better priced. 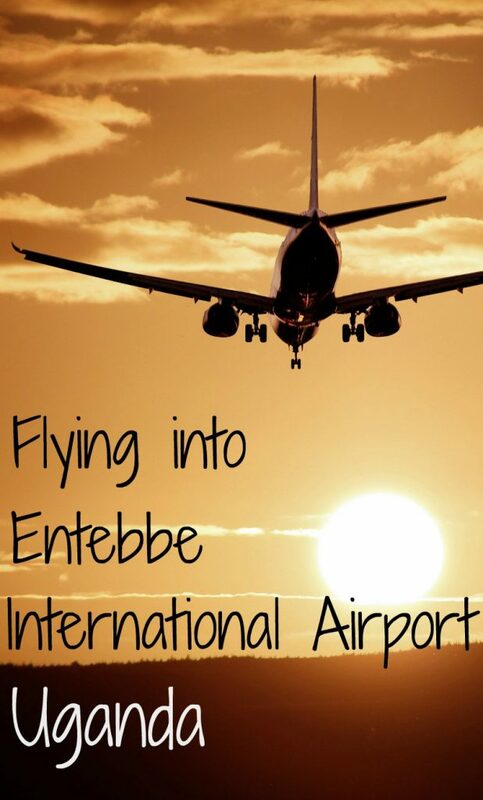 There are 4 daily flights between Nairobi and Entebbe: 09:30, 12:45, 16:45, and 21:00. It is important for travelers to know that if one or more of those flights is not sufficiently booked, it will be cancelled without notice. Passengers are simply booked on the next Entebbe bound flight. However, adding a few more unexpected hours to your travels may not please you. A great way to compare prices is to use a website like Skyscanner, Expedia, or Orbitz. However, I like to book direct with the airline. You’re ensured a good price, are often offered a discount for booking online, and your confirmation comes through immediately. No worries about shady third party companies. Further, should you want to prolong your stay in Uganda, it makes changing flights easy! First, take off your jacket. No matter what time of day you arrive, it’s hot out here. Customs at Entebbe International Airport is not air conditioned. It does have free wifi, though. You’ll first queue to show the required yellow fever vaccination certificate. Then you’ll queue for customs. Here is where you present your passport with your e-visa Approval Letter. Neither of these procedures is lightening quick. What’s nice is that once you’re through, your luggage is usually waiting for you. There are 2 carousels, yours will be easy to find. Once inside the arrivals lounge, you can change cash at the forex bureau or withdraw from the ATM machines. Airport forex rates are usually less than optimum, but don’t differ vastly from those found in town. The ATM machines take Visa related cards. Leave your MasterCard at home. Want to connect a local phone line? Head over to one of the few telecom shops in the arrivals lounge. They’ll sort you out with a SIM card, airtime, and an internet data package for your unlocked smart phone. SIM cards are $1. Monthly internet costs start at $15 for 10Gb of data. It gets cheaper the more you buy. Now, you’re ready to head out side. If you’re traveling with The Real Uganda, you’ll have someone waiting for you. They’ll be just outside the big glass doors holding a sign showing your name. You’ve Made it to Uganda!